I hope that you are having a good week. I’ve been thinking about you and your experiences. Not only have I been thinking about your experiences, but I’ve also been thinking about the effect that your experiences have had on you. I’ve had some of my own…well, truthfully, my life has been jammed packed with experiences that left me spiritually wounded. At every step of the way, I had to pull through or else, I’d be numb to life and dead spiritually, maybe even naturally too. 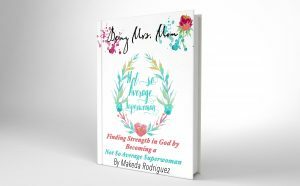 When I’ve spoken to women in the past about how I have overcome, they often tell me that they think I’m strong, different, and somehow more blessed than they are. They believe that this is the reason why I have overcome as I have. Well, I beg to differ. I mentioned, previously, that there are mechanisms built into us, as humans, by God, that cause us to heal and survive. The thing about this is that those mechanisms are only activated when necessary. If you have lived a life where you didn’t need to heal and survive on a constant basis, this process is new for your life’s ecosystem. You have to begin healing from every new injury, as they come. This is especially true of spiritual wounds, but even more so of wounds that transcend across the natural and spiritual boundary. Recently, it has been made clear to the public that professional football players that have sustained head injuries for long periods, since childhood, have a layer of tissue that develops around their brain, as a protective mechanism. Because they have sustained numerous concussions, their brain is attempting to prepare for the lifestyle that they live, by developing a cushion. Although this is how the brain is attempting to protect itself, it also ends up causing a bit of brain damage, which is why we see football players involved in so many situations where they should have used better judgement. However, there may be a lack of ability to do so because of the current structure of their brain. Many doctors have overlooked their injuries, unaware of the trauma that was occurring during each and every football game. When I was growing up, as an only child, I dealt with certain emotional hurts that caused me to develop ways of surviving. My mother was a single parent and, although I saw my father, I dealt with feeling rejected many times because of his absence from my home. There is more to this story, but what I want you to understand is that when you live with an injury, your brain, body, and spirit attempt to develop ways of making you immune to the injury. It develops cushions that buff the fall, so that the next time that you are injured, the pain isn’t so bad. That being said, that cushion can sometimes have a side effect. For me, I was an emotional child. I wasn’t sure how to handle the things that were coming at me and causing me pain. I couldn’t figure out why everyone else had their father in the home, but I didn’t. Why did my mother and I experience such friction in our relationship. I understood that they both loved me, but as a child, I was an emotional wreck. I longed to just be happy, like all of my other friends, but no matter how hard I tried, I was hurt. As I grew up and began to develop relationships with people outside of my home, I learned that all relationships are not traumatizing. I learned to trust and love, in spite of my fear, but I was still emotional. My wounds just kept opening up. I don’t know how I kept myself from crying in front of my friends, but on the inside, I was a mess. Then once my husband and I got married, my emotions were so jumbled up and confused. I had to figure out how to maintain my emotions and allow my heart to heal. I really did not want to go through the process, but it was unavoidable. You can’t escape your healing process and make it out alive. You have to choose to heal in order to heal effectively. As I started going through the process of healing, there were times when my pain was simply unbearable. I got to the point where I could literally feel the emotional pain in my chest, like a physical pain. I didn’t want to go through the process, but I really wanted to heal. I wanted to stop crying. I wanted to stop being afraid that I was not truly loved. I dove in to fictional books, trying to run away from my problems and found that the problems where there too, they just had solutions of how they could be fixed. Every morning, I’d get up before my husband and my son. I’d go in to a room and give my heart to God. I’d sit down with my journal and discuss everything that was happening within me. With every stroke of the pen, I gave my problem, my pain, and my worries to the Lord. As I wrote, I began to process the injuries. I read my bible in search of the answers and day by day, I was healed a little bit more. I didn’t know it at the time, but I now know that I was seeking God for strength. Living broken, prepared me for a lifetime of healing. Some women don’t understand this because they didn’t grow up broken. Maybe you are one of those women. Maybe your brokenness happened when you hit a certain age and traumatized you. Maybe you were hurt at a young age, but blocked out the pain. I think that’s the thing that you have to understand though, you can’t just decide that you aren’t going to feel the pain. Not feeling the pain tells your body that there is no need for healing. When you do that, the signals aren’t sent for the healing process to begin. I couldn’t escape my pain. I almost always felt it. In some ways, my pain taught me that love is real, but so is pain, and we all feel it, but when we choose to feel and process it, we can overcome it. Those women that tell me that I am somehow different, more blessed, stronger than they are have not walked with me through my weakest moments. They have not felt what I felt as I tried to stay alive emotionally. They have not known the need that I have had to stay alive daily as the words of another human being attempted to destroy me daily. Feeling rejected caused me to crave love and I knew, somehow that I could not survive without it. I did not escape my process of healing because it was God-given. It was what kept me alive as I grew and matured. It was also what allowed me to see the pain of others and have compassion on them. Why did I say all of this? Well, as I was thinking about the next phase of this healing journey, I realized that there are going to be some of you, maybe even you, specifically, that will attempt to run out on the process. You might be thinking that you don’t need to do all of this. You might feel that you can just take steps 2 and on because all of this other stuff is just excessive and unnecessary. I need you to understand that it’s not unnecessary, it is imperative to your well-being. You have to choose to go through the process. As you journal and think about what you experienced, you have to journal about the pain. Identifying what you experienced, will allow you to properly evaluate your needs. Now, I’m not a doctor. I’m a woman who has been through some experiences that I’ve learned from. God has also brought me multiple women that have needed to heal and I’ve helped them through this process. Everyone’s process is different, you have to choose to follow God through the process. When you understand how you feel and think about the things that I mentioned in my last post, then you can move on to the next step. My childhood pain allowed me to be stronger as a woman, wife, and mother. Without my experiences, I believe that I would be a different woman. However, those experiences alone were not what made me who I am. I had to trust God, go through the process, and allow myself to heal. There are somethings that I’ve had to let go of. Yet there are others, that I have had to decided to give myself time to process . So, ask yourself a few questions today, right now. Do you really want to heal? Are you willing to go through the process of healing? How bad could the pain really be? Do you believe that God is bigger that your pain? Do you believe that He is capable of healing you? If you answer is yes, please make a committment to yourself and to the Lord to go through the healing the process. Decide that you are not going to avoid doing what is necessary to be healed. Please take a moment to share this post with someone who may find it helpful. Repost it to your Facebook or Twitter. Many of our friends are hurting too and need assistance healing from wounds. Let’s not do this alone, we all need each other. Leave me a comment sharing your thoughts with me or send me a message telling me how this post impacted you. Would you like to see more topics like these? If you found this post helpful, preorder my second book. It’s all about finding strength in God. I will be available on kindle version at the end of this month. Soon after, it will be available in paperback version.